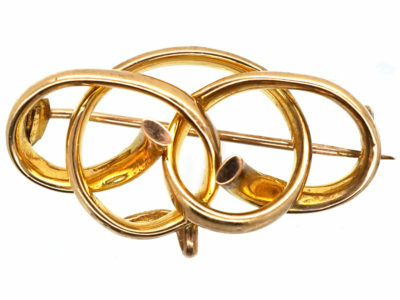 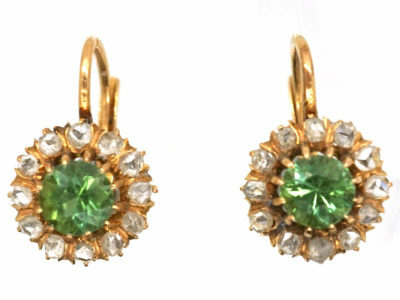 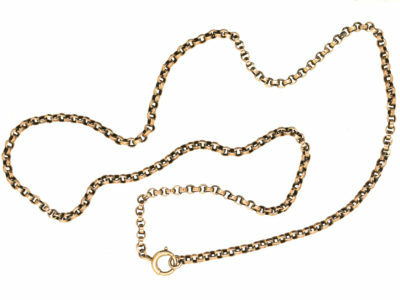 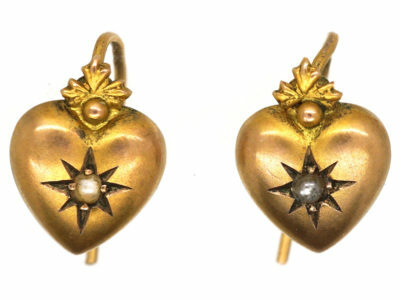 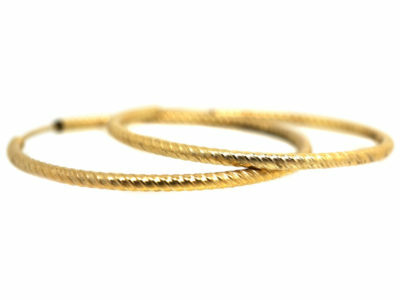 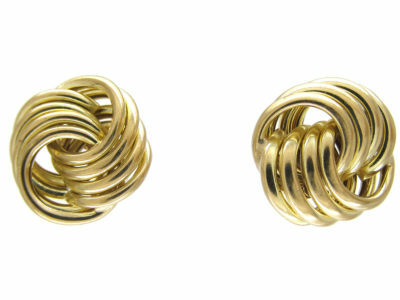 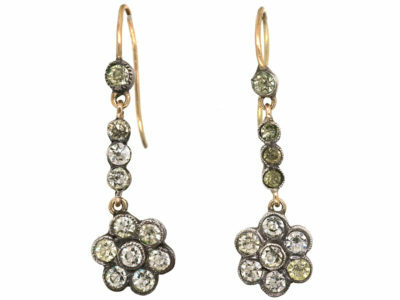 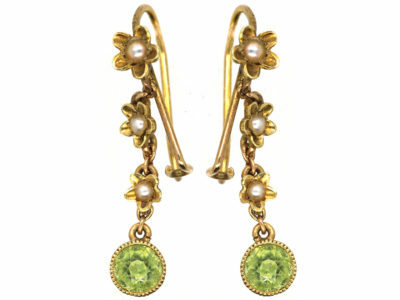 A very pretty pair of 9ct gold earrings that clip on to the ear. 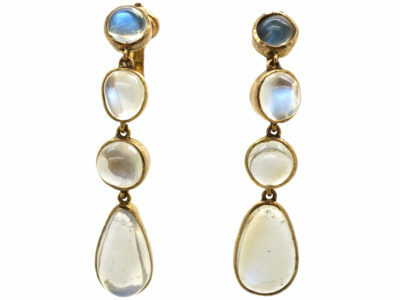 They are composed of four moonstones each. 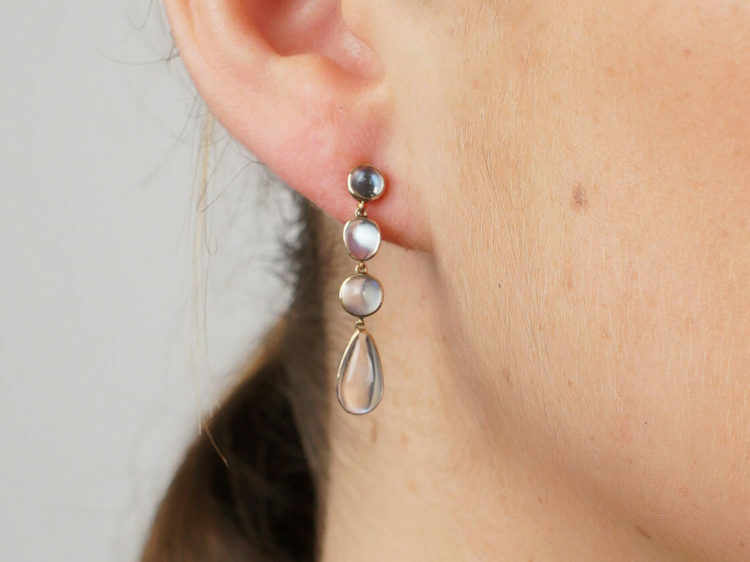 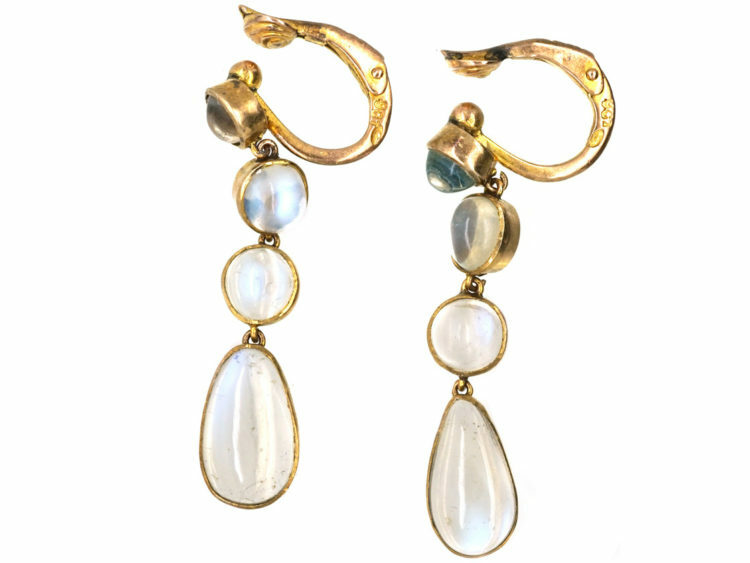 The bottom moonstone is pear shaped. 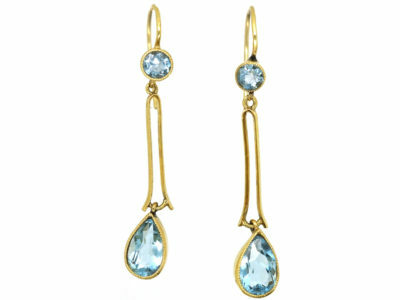 They are a lovely translucent colour with blue flashes. 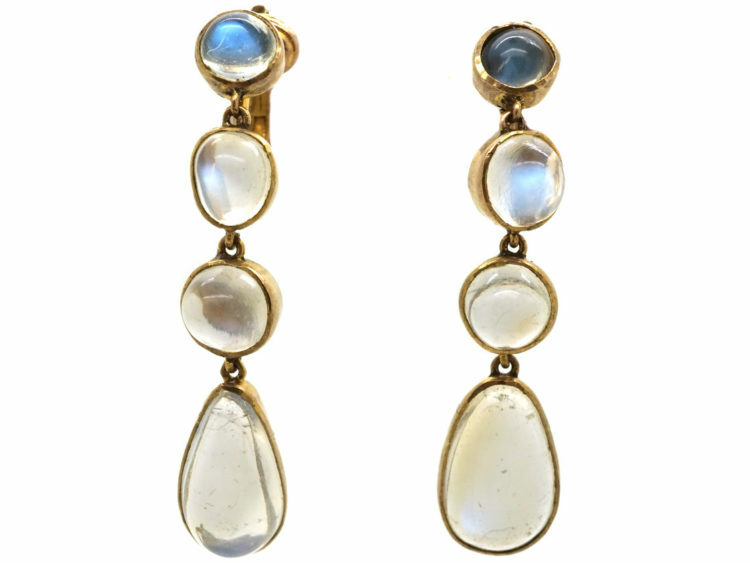 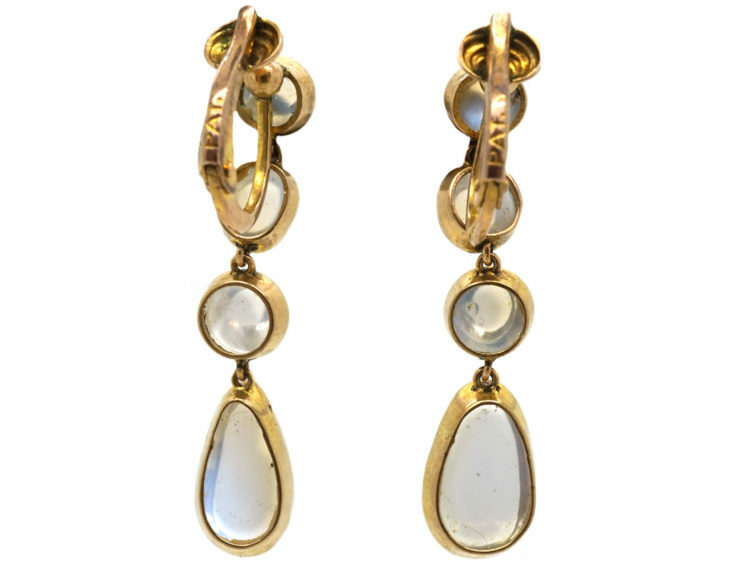 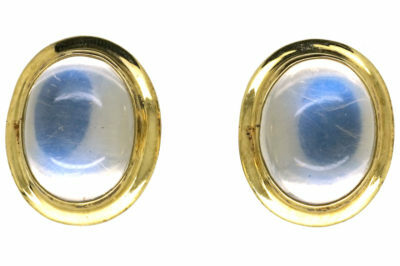 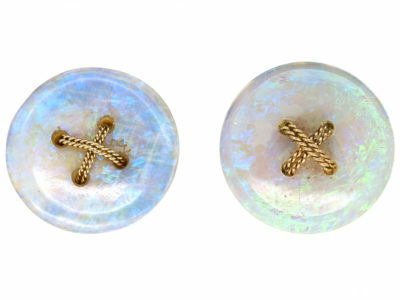 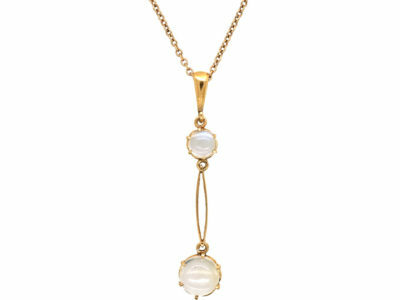 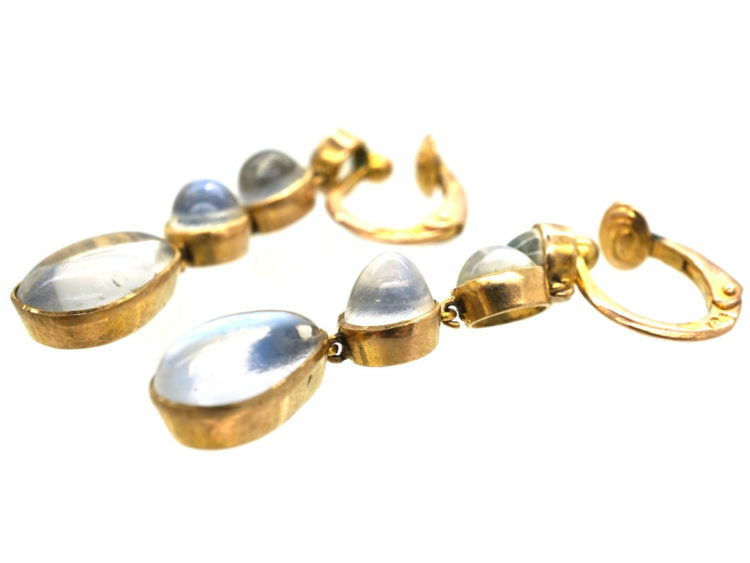 The old material is much sought after now as modern moonstones are quite opaque.